To purchase tickets to the tailgate for family and friends, click on the image below. Overflow seating will be available in Russell Union Theater. The number of guests is UNLIMITED. Tickets are NOT required for convocation. Doors to the guest seating area will open at 3:00 p.m.
**We will host a tailgate before the convocation to celebrate the Class of 2019. Click on the Parker Convocation Celebration Tailgate tab above for more info and to purchase tickets. Prohibited Items For the safety, security and experience of all guests, the following items are prohibited. Transportation Request Buses are being arranged for students and their guests needing assistance traveling between Statesboro and Savannah. Reservations will be required. Buses will depart from destination location 45 minutes after the ceremonies. 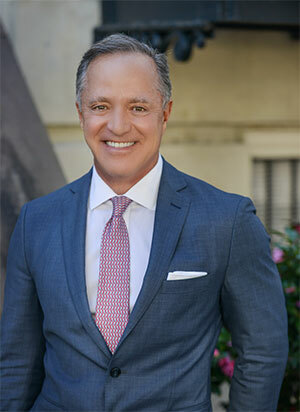 One of the nation’s leading business innovators, Parker’s founder and CEO Greg Parker has earned acclaim for his commitment to high-quality foodservice, technology, consumer rights and charitable giving. Parker has been recognized as the 2018 Convenience Foodservice Leader of the Year, the Convenience Store News Tech Executive of the Year, the Frank Callen Boys and Girls Club Citizen of the Year, the Savannah Morning News Entrepreneur of the Year and the Savannah Area Chamber of Commerce Entrepreneur of the Year. In the Fall of 2018, Parker made a record $5 million donation to name the Parker College of Business at Georgia Southern University, supporting the next generation of business leaders in Georgia. The new funding will establish the Parker Business Scholars Program, Parker Business Scholarship Fund and Parker Faculty Support Fund, allowing Georgia Southern students to excel in the areas of professional development and scholarship. Parking will be available in the Hanner Fieldhouse lot, J.I. Clements Stadium parking lot and at the Russell Union. For a campus parking map, click here. For information on hotels and restaurants in the area, please visit visit-statesboro.com and www.visitsavannah.com. Q: WILL THERE BE A PRACTICE FOR THE UNIVERSITY-WIDE CEREMONY OR THE COLLEGE CEREMONIES? A: There will not be a practice for either the University-wide or the college ceremonies. Participants need to arrive at least one hour before the ceremony begins for line up and directions. Q: IS THERE A CLEAR BAG POLICY IN PLACE FOR THE UNIVERSITY-WIDE CEREMONY OR THE COLLEGE CEREMONIES? A: NCAA requirements say a clear bag policy is in place for athletic facilities such as Allen E. Paulson Stadium and Hanner Fieldhouse. There is not a clear bag policy for the Savannah International Trade and Convention Center. Q: WILL THE UNIVERSITY BE PROVIDING TRANSPORTATION TO THE CEREMONIES? A: Yes. Buses are being arranged for students and their guests needing assistance traveling between Statesboro and Savannah. Reservations will be required. Buses will depart from destination location 45 minutes after the ceremonies. Q: WHY IS THE UNIVERSITY HOLDING TWO CEREMONIES FOR EVERY STUDENT? A: In order to continue to give our graduates the full recognition they deserve, we are moving to two graduation ceremonies for each student, similar to other universities of our size. New college-specific ceremonies will provide a more intimate setting where each graduate will be recognized individually. The location of the college-specific ceremonies will align with the College’s primary campus location. A separate University-wide ceremony will gather all graduating students and guests together at one location, and recognize graduates as a group. The college ceremonies allow us to provide greater focus on our graduates and their academic achievements along with the faculty members who guided them. This format will be a more meaningful celebration for both our graduates and our faculty as we will be able to continue the tradition of recognizing graduates individually as they cross the stage and more faculty members within the college will be able to participate. The university-wide ceremony will include graduates from all the colleges and have the full pomp and circumstance of a traditional ceremony, including a guest commencement speaker. Q: WHAT IS THE SCHEDULE FOR THE UPCOMING COMMENCEMENT CEREMONIES? 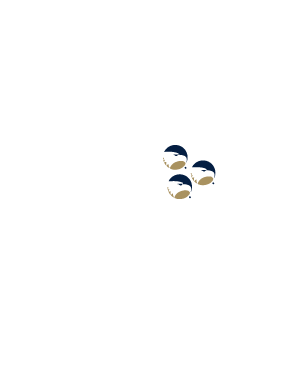 A: The University-wide ceremony will be May 11 at 9 a.m. in Paulson Stadium on the Statesboro campus. The college ceremonies will be the day of, or the day before, the University-wide ceremony and will be held where the college is headquartered. See the complete schedule at www.georgiasouthern.edu/commencement/. Q: WHEN WILL THE GRADUATE COMMENCEMENT CEREMONIES BE HELD? A: Details are still being finalized for the college ceremonies. Final details will be available online at https://www.georgiasouthern.edu/commencement/. Graduate students will participate in the University-wide ceremony as well as the college-specific ceremony for their major. Q: HOW LONG WILL THE CEREMONIES LAST? A: We anticipate the ceremonies to last no longer than two hours each. Q: DO GRADUATES HAVE TO ATTEND BOTH CEREMONIES TO RECEIVE THEIR DIPLOMAS? A: No. You will receive your diploma cover at the college-specific ceremony. You will receive your diploma in the mail approximately six to eight weeks after the semester you complete degree requirements. Q: WILL STUDENTS ON THE ARMSTRONG AND LIBERTY CAMPUS HAVE TO TRAVEL TO THE STATESBORO CAMPUS FOR THE UNIVERSITY-WIDE OR COLLEGE-SPECIFIC CEREMONIES? A: The College ceremonies will be held on the campus where the college is housed. We will hold spring college ceremonies in Savannah for colleges of Health Professions, Education and Public Health on Friday. 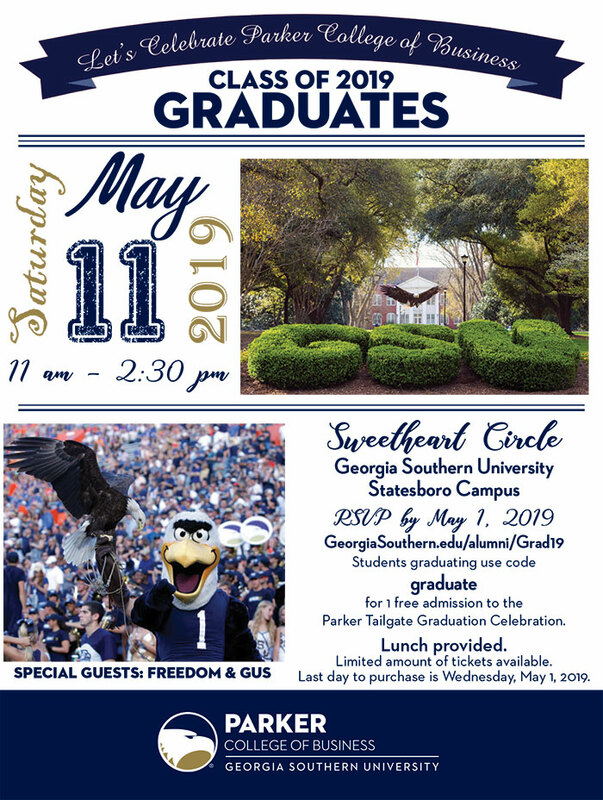 College ceremonies for the other five colleges (Business, Science & Math, Engineering & Computing, Arts & Humanities and Behavioral & Social Sciences) will be held in Statesboro on Friday and Saturday. The University-wide ceremony will be held at Paulson Stadium on the Statesboro Campus on Saturday morning. Q: DO GRADUATING STUDENTS NEED A TICKET IN ORDER TO ATTEND THE UNIVERSITY-WIDE CEREMONY OR COLLEGE-SPECIFIC CEREMONY? A: No, your cap and gown is your ticket. Q: DO FAMILY MEMBERS AND GUESTS NEED TICKETS FOR THE CEREMONIES? A: The university-wide ceremony and the college-specific ceremonies will not require tickets for family members or guests. Q: IF I HAVE A DISABILITY AND HAVE CONCERNS ABOUT PARTICIPATING IN THE UNIVERSITY-WIDE CEREMONY, WHAT SHOULD I DO? A: Contact the Student Accessibility Resource Center at 912-478-1566. Q: DO THE STADIUM’S POLICIES APPLY TO THE UNIVERSITY-WIDE COMMENCEMENT CEREMONY? A: Yes, for commencement, both graduates and guests must comply with the policies that are required by Paulson Stadium Fan Code of Conduct. You can find those guidelines at www.gseagles.com/conduct. Q: IF I AM NOT GRADUATING IN THE SEMESTER I WOULD LIKE TO WALK IN, WHAT SHOULD I DO? Q: WILL I GET MY DIPLOMA AT ONE OF THESE CEREMONIES AND, IF SO, WHICH ONE? A: You will receive your diploma cover at the college specific ceremony. You will receive your diploma in the mail approximately six to eight weeks after the semester you complete degree requirements. Q: IF I HAVE QUESTIONS ABOUT A SPECIFIC CEREMONY, WHOM SHOULD I CONTACT? A: A list of commencement contacts is being developed and will be made available at www.georgiasouthern.edu/commencement once it is complete. A: The university-wide ceremony held at Paulson Stadium is an outside event and will take place rain or shine unless the weather is threatening and compromising safety. There will be no rain plan. Q: HOW DO I GET MY REGALIA (CAP AND GOWN) AND FROM WHERE? A: Students may reserve their caps and gowns at www.herffjones.com/college/graduation. Details on cap and gown pickup will be posted on the Office of the Registrar’s website at https://em.georgiasouthern.edu/registrar/students/graduationinformation/. Q: DOESN’T THIS DEVALUE STUDENTS? A: This move actually allows us to focus more on our students and their academic achievements. The college ceremonies will heighten the academic distinction students have achieved and allow for recognitions such as Doctoral degree hooding and honors designations. Q: WHO CAME UP WITH THIS IDEA? A: This decision was made after careful study of practices at other universities our size around the country. A committee solicited input from students, faculty and the deans before making a recommendation to the President’s Cabinet. 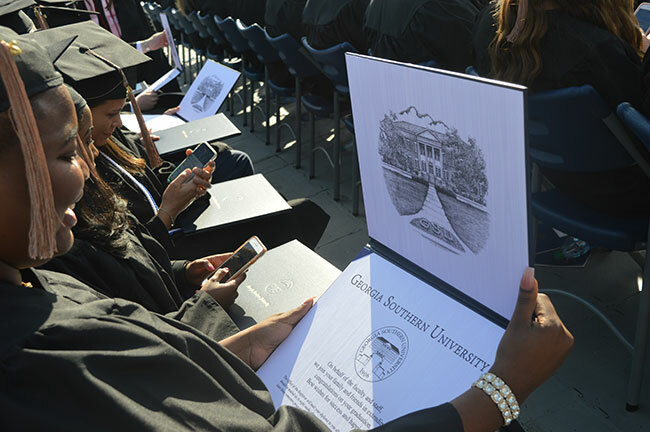 Share your photos with #GSGrad19 & #weareparker.